Albany, NY - With time winding down on a congressional vote on President Obama’s nuclear accord with Iran, New York Governor Andrew Cuomo is feeling the heat from both sides of the aisle as he continues to straddle the fence, refusing to take a public stance either for or against the deal. NYPOST.com (http://bit.ly/1N44wrL) reports that folks thought Cuomo may have hedged his bet a few weeks ago when he said Democratic state Sen. Charles Schumer of New York made a “persuasive case” in coming out against the deal, but since then the governor has been reticent to come down on either side, drawing charges of “crass politics” from supporters and critics alike. Harsher criticism still has been lobbed from state GOP bigwigs, most notably Westchester County Executive Rob Astorino, who unsuccessfully challenged Cuomo for governor last time around. Cuomo fence sitting? I'm shocked. He fence sat on fracking for 2 years, for casino gambling, for changes on SEQRA environmental rules, on ethics laws, you name it. If his name wasn't cuomo he'd be a dog catcher. whoever gives him money hell support though he doesnt want to lose Satmar vote by opposing Iran deal. A governor has no say or influence on foreign policy. The only governors who have commented on the Iran deal are those who are running for president. This angst over Cuomo is just as ridiculous as the concern by some about whether a candidate for mayor is pro- or anti-abortion or pro- or anti-capital punishment. Mayors have no say over those issues, just as they and governors have no say over foreign policy. 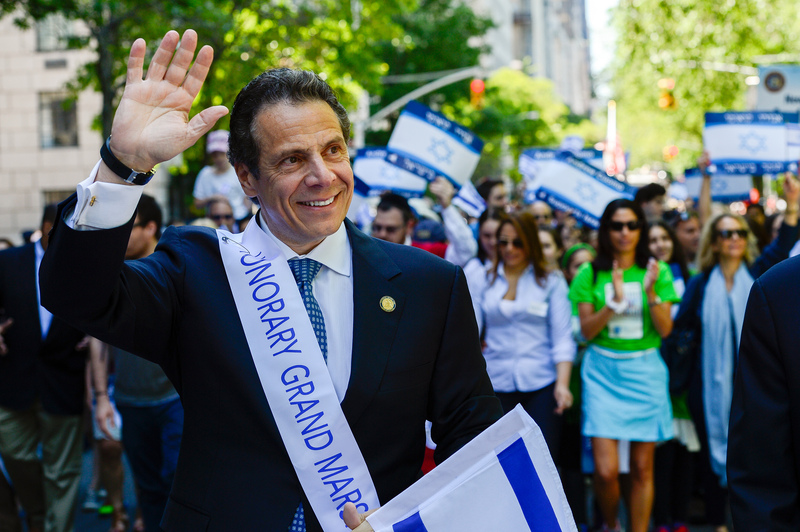 Cuomo's opinion on Iran has absolutely nothing to do with his job as governor. so why did he go to Israel last year in "solidarity" during the war? oh right it was an election year. Shows you how funny this mafia guy is.